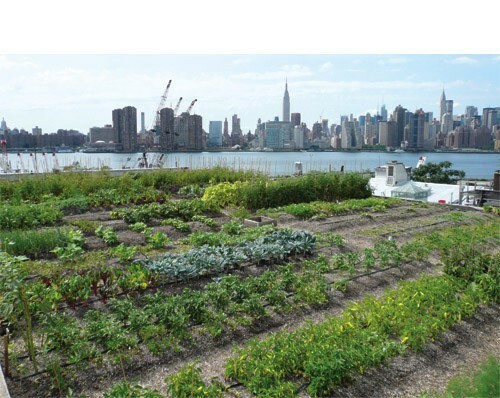 In 2010, Eagle Street Rooftop Farm became the first rooftop-based CSA farm in the country. Organized as a traditional CSA share (in half-share size), the CSA group picks up at the Rooftop Farm every Tuesday night for the 22 weeks of the New York growing season. On Tuesday October 19th you are invited to come to the farm for a CSA feast! Prepare your favorite Autumnal recipes to share with the members of the Eagle Street Rooftop Farm CSA. This is a great opportunity to mingle and chat with a wonderful group of fellow CSAers about your individual experiences as CSA members and your shared interests in local food, farming, community, etc. We will be gathering at the farm around 6 PM for a good ole fashion potluck dinner featuring your very best seasonal delights! The earlier the better since it’s getting dark early these days. Perhaps we may even see some fun Halloween inspired treats too! RSVP to Lis by Friday 15th – southsidecsaevents@gmail.com.